Amazon has pulled its Echo Wall Clock over concerns about connectivity issues, just a little over a month since it began shipping the product. The Wall Clock's lack of availability on the Amazon website was first spotted by The Wall Street Journal's Joanna Stern before being confirmed by Amazon in a statement given to The Verge. "We're aware that a small number of customers have had issues with connectivity. We're working hard to address this and plan to make Echo Wall Clock available again in the coming weeks." 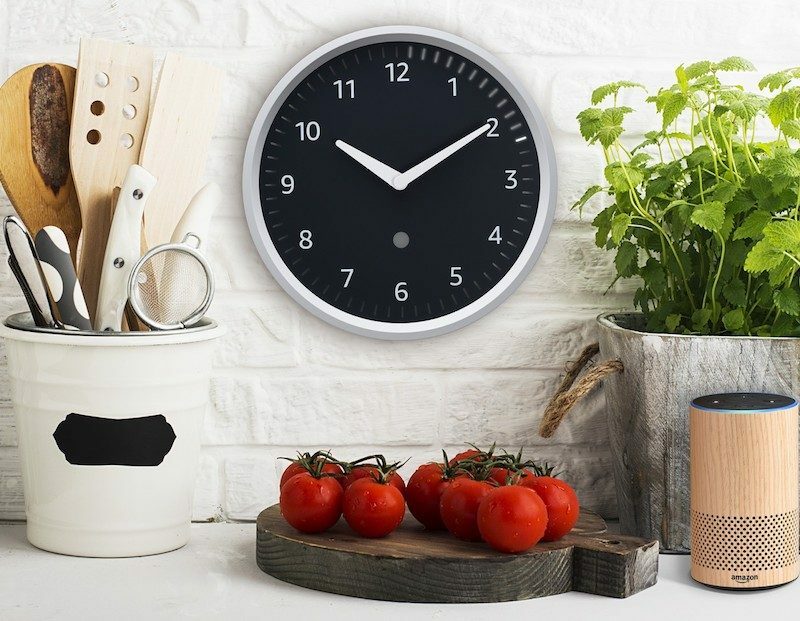 Announced in September along with several other Alexa-enabled products, Amazon's Wall Clock costs $29.99 and performs the expected Alexa and Echo tasks while also telling the time. It runs on four AA batteries and connects to Bluetooth and Wi-Fi for setup, but requires the user to own a standard Echo to access all the features, which include displaying timers on the clock face. Customers who received a clock before they were delisted and have experienced connectivity issues are advised to contact Amazon to arrange a refund. I have never seen something more obviously Photoshopped into a stock photo. Just in the nick of time...it’s never a good time to do this...Amazon keeping good, clock, face. Bought one as soon as it was released and have been really happy with it. No connectivity issues at all. As a clock, it's so-so but as a timer paired with Alexa it's the best thing we've bought for the kitchen in years. I hope it makes a come-back. And, oh yeah, it replaced one of those clocks that's supposed to pick up a signal from Boulder every night. In New England the NIST longwave signal is so weak that many nights clocks and watches don't catch the signal, even if sited optimally. Having this pick up network time is an improvement, even if it's a modest point. The common misconception is that this device actually has Alexa built in. In fact, it only shows visual indicators for timers and notifications. It does not talk. So it's a clock that can only tell time? Sounds useless. Wait, so the shadow coming from the front right of everything else and the shadow of the clock falling on the top-inside edge and behind the left of said clock... Oh. Oh, I see. There aren't two suns. Mine works great. No issues at all. Honestly, an internet-connected analogue clock is one of the dumbest things I've ever seen. I know what you mean. I can always tell when my kitchen clock didn’t correctly sync the night before because the timer goes off 0.00003 seconds later than usual and my eggs are burned. I'm not talking about fractions of a second. Both of the "atomic" clocks we have jump around between time zones, or (worse) get off-time randomly by 20, 30 or 40ish minutes.